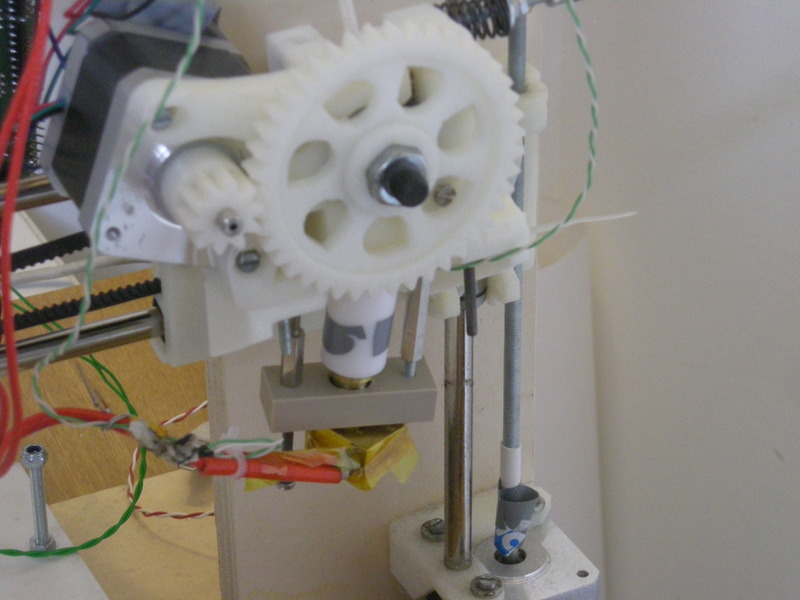 This is my 3D printer, I built it a few year ago but only recently I managed to get it to print well. UPDATE: I recently added an LCD display and some white LEDs that turn on automatically when the nozzle reaches 40°C. UPDATE 26/4/2017: Finally I managed to complete the printer. I printed again some broken pieces that were held together with adhesive tape. I fixed a Pololu stepper driver, which had a broken trimmer, by desoldering the SMD trimmer and replacing it with a pair of 4.7kOhm resistors. Now I plan to add a RaspberryPi to control the printer remotely, I will add it as soon as the new webcam arrives since the old webcam I had suddenly took fire while I was using it and I didn’t manage to find the source of the problem even after disassembling it (anyway part of the PCB has been seriously damaged by the fire so I suspect it is not even repairable). A particle accelerator in my basement!